Join us for a Celebration of the Resurrection this Easter Sunday, April 21st at 10:15. ALL are WELCOME! An Easter Egg Hunt follows for children, who are encouraged to bring their Easter Baskets! Welcome to St. Thomas Church! Welcome to St. Thomas Episcopal Church, where our mission is to share God's love. We do this, first, by striving to model our lives upon that of Jesus, following his examples of prayer, obedience, and service to God and all people, and, second, by sharing the good news of Jesus with all people so that they too can join us in this life of joy. 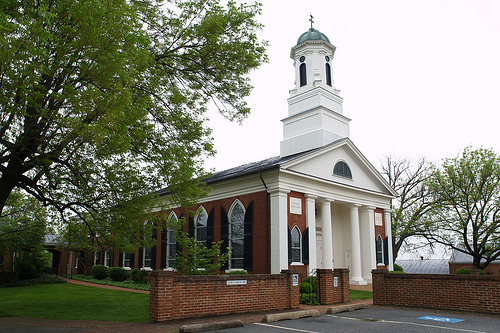 Established in 1740, St. Thomas is a vital and vigorous part of the community of historic Orange, Virginia, and is involved in numerous outreach programs. we invite you to join us in worship when in the area.